Overview of Photos taken during Thiru Maasi Kettai at our Sri Mudaliandan Swami Thirumaligai - Singaperumal Koil. Below are Swami Annavilappan's different Thirukolam during Thirumaasi Kettai 2012. 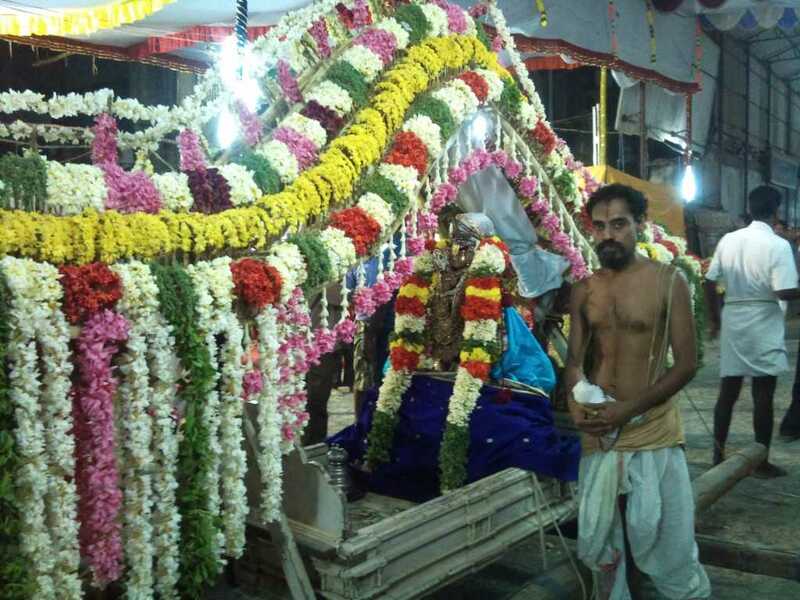 In the Vadhula race Swami Annavilappan, Thirukumarar of Appachiaranna Swami born by the month Maasi Kettai Natchathiram and lived in Narasinga Vinnagaram (now Singaperumal Koil) in the service of Sri Pataladhri Narasimha Perumal as ordained by Lord Narasimha. The Lord of Singaperumal Koil - Pataladhri Narasimhar, appeared in the dream of Swami Annavilappan and ordered him to set right His abode which was covered under sand dunes and establish a place with agraharam and kainkaryaparas and to live ever in his Service. Accordingly, Swami Annavilappan followed the divine order and lived his full life time in the service of the Lord of Singaperumal Koil. His descendants are now among the Acharyas of the SriVaishnava tradition, and carry the title of Mudaliandan Swami.